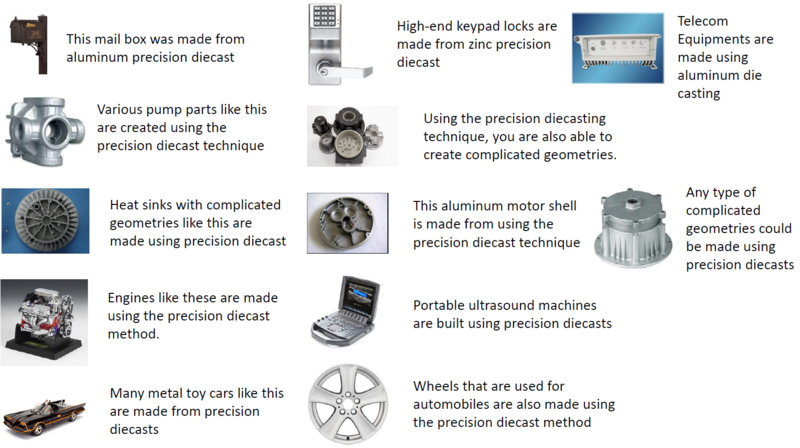 Products that were created using precision diecasting are all around us. Some of the industrial applications of precision die casting include industrial lighting fixtures, valve bodies, and commercial air compressors. If you have never heard of any of those things, how about refrigerators? That’s right, even refrigerators, coffee makers, and washing machines are all created using the precision die casting methods. Not only that, but many consumer goods like cameras and cell phones are partially created using this method.